Colorseum has a huge range of beauty services to choose from in our relaxing beauty therapy rooms. We have everything from standard maintenance beauty treatments to specialist, de-stressing therapies – helping you to escape from the pressures of day-to-day life! Browse our treatments and then book in to visit our talented and highly-qualified Therapists or Nail Technicians. For that special occasion including proms, school formals and nights out we offer a makeup application appointment. Taking into consideration your outfit, occasion and hair for the evening, we can create a professional make up look to suit you. 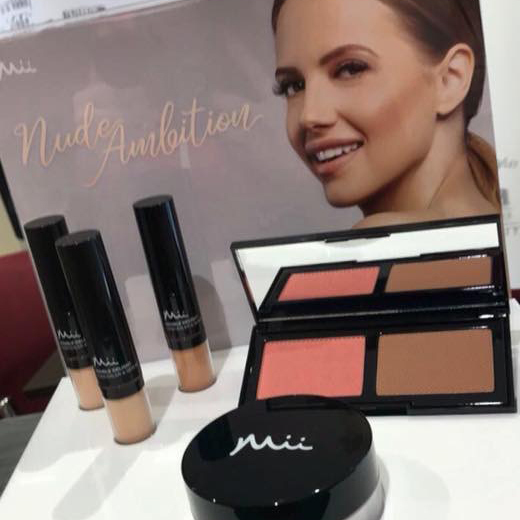 All of our makeup products used during the makeup application are also available to purchase in salon. 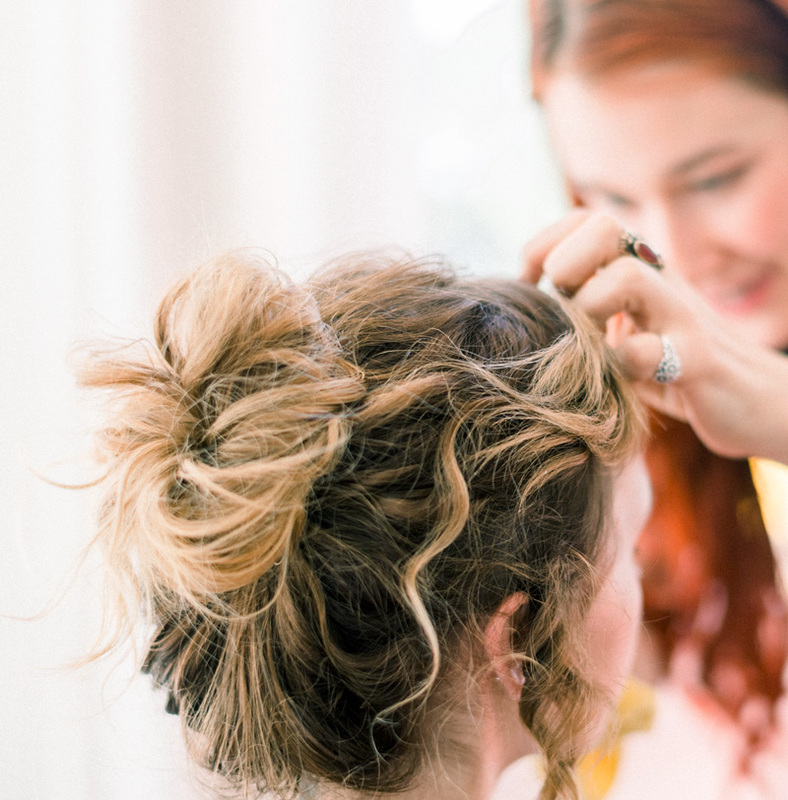 Your wedding day should be the biggest day of your life, and everything has to be perfect including your hair and makeup. 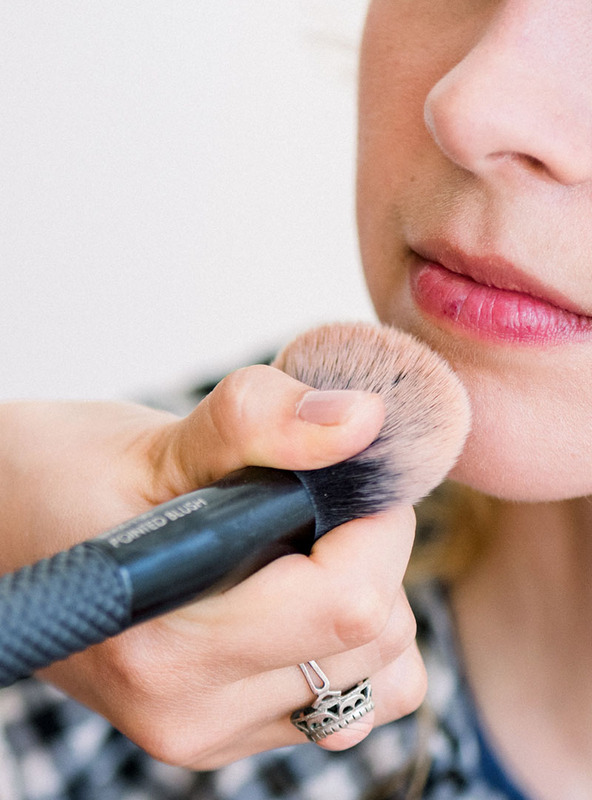 In conjunction with bridal hair treatments, we also offer a bridal makeup service using the best products and techniques to ensure you look the best on your big day. 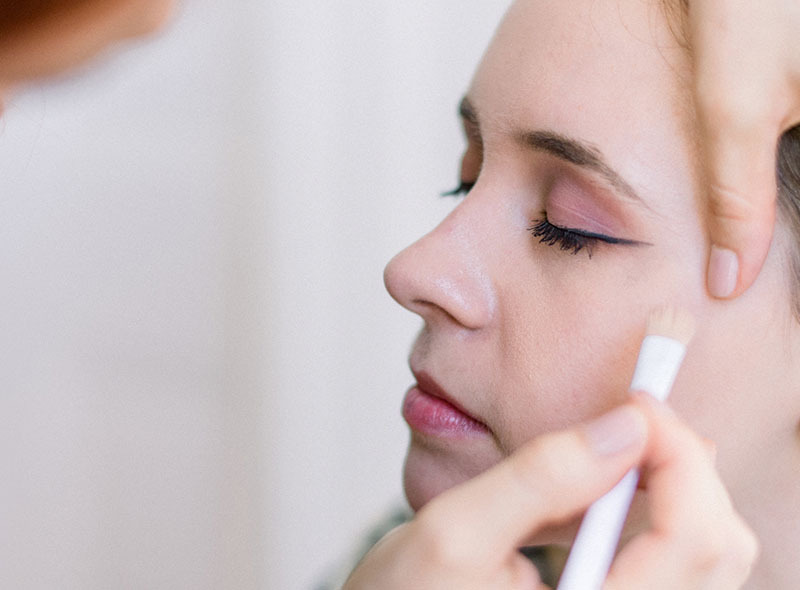 We highly recommend a makeup trial appointment prior to your wedding in order for us to assist in colour choice and styles that will suit you. 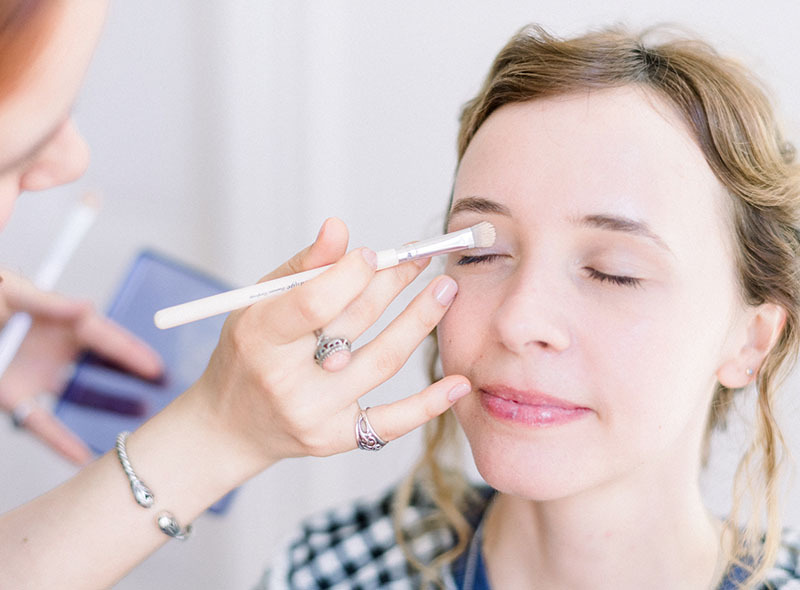 All of our cosmetics used for bridal makeups have been designed to provide complete, long lasting coverage that will see you through the day and look beautiful in photographs. 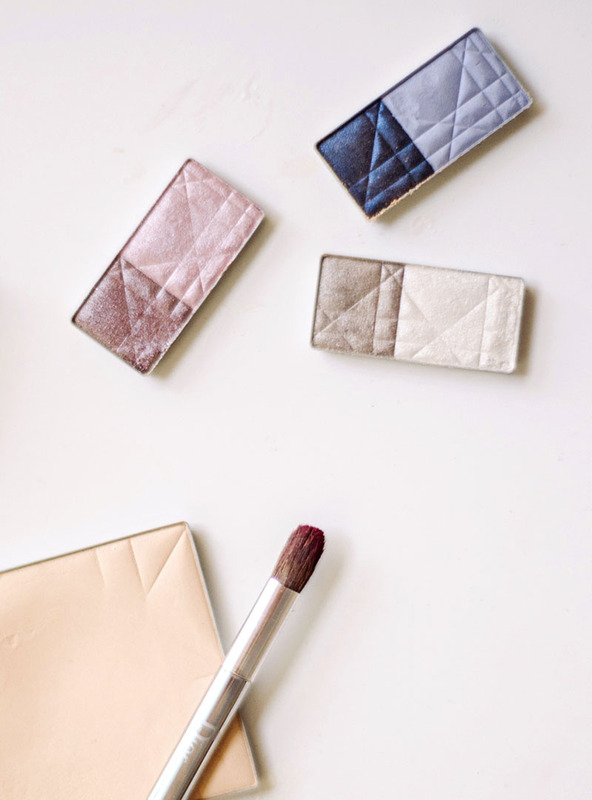 Make up lessons are an excellent option if you want to learn how to apply your own makeup like an expert. 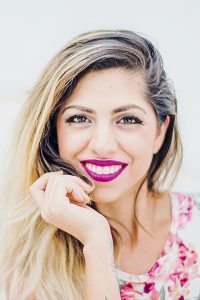 Guided by one of our professional in salon makeup artists you will learn the tips and tricks that the experienced makeup artists have trained in, including how to achieve different looks for daytime, evening and special occasions. 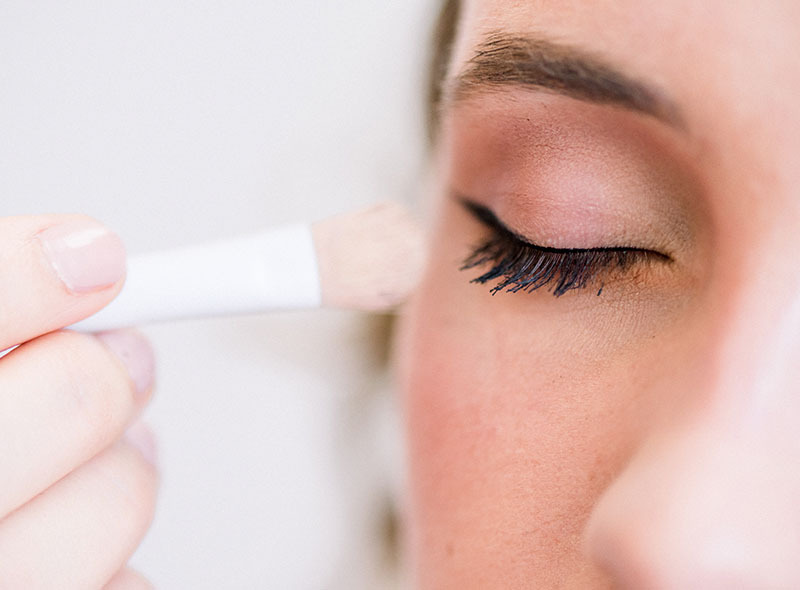 During the makeup lesson we will discuss with you how you would like to look, what sort of makeup would suit your personality and how you can recreate the look yourself, at home. We offer various massage treatments such as Indian Head Massage, Reflexology, Aromatherapy, Sports Massage and Hot Stones Massage. This is a deep and calming massage that releases the stress that has accumulated in the tissues, muscles, joints in the head, face, neck and shoulders. This is a much deeper and harder massage compared to your conventional massages which are just for relaxation. Sports massage aims to help relieve muscular cramps and knots which have been caused through excessive exercise. By relaxing the muscles, they are then able to help rebuild themselves from the strain of exercising. This uses essential oils blended to your individual needs; it is more of a holistic form of massage using pressure points and lighter massage movements. Very good for relaxation. Hot stones massage is a nice relaxing massage which uses hot basalt stones to melt away the tension. The stones help to warm up the muscles in certain points of the body enabling the massage to penetrate deeper into the muscles without the massage needing to be quite as hard as a sports massage thus still being a relaxing treatment. In the feet, hands and ears there are reflexes that correspond to all of the glands, organs and parts of the body, reflexology is a unique method of using the thumb and fingers to massage and work the reflexes on the feet to relieve stress and tension, and help to put your body back into balance. Before treatment please consider recent neck or head injuries, any history of thrombosis, high or low blood pressure, diabetes, any kind of heart condition, cancer or osteoporosis. Some people may experience some side effects although they only last a few hours. These can be Dizziness, Tiredness and, ironically, Aching muscles. Before and after treatment please keep hydrated with plenty of fluids and avoid drinking alcohol for at least 5 hours to enable the body to flush out any released toxins. We offer a range of semi-permanent eyelash extensions which can last up to three weeks. They are individual lashes that are applied to the natural eyelash extending them and making them look fuller and thicker giving instant transformation to your eyes. The extensions will come away with your eyelashes as they naturally fall away. After three weeks you will need to have any gaps filled in. 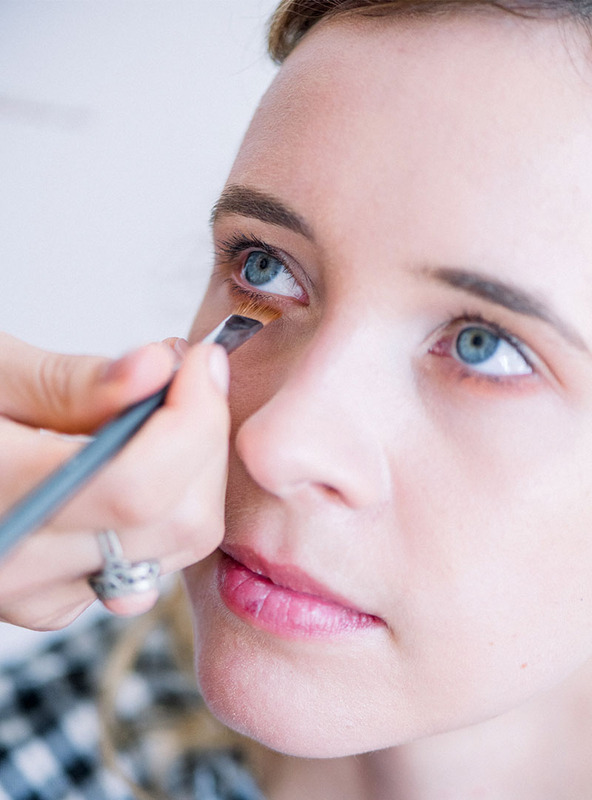 It is recommended that you have a patch test 48 hours prior to having eyelash extensions and that, if necessary, you have them professionally removed. We also recommend that you remove any mascara or eye make-up before you have your extensions applied and to remove contact lenses, if worn. A full set of eyelash extensions can take up to 2 hours for application and an in-fill can take up to an hour and a half. This provides a semi permanent tinting that is conditioning as well as 100% waterproof. A patch test on the skin must be carried out at least 24 hours before the day of tinting. For sparse or fair eyebrows, an eyebrow tint can help to frame the face and create depth and colour to the eye area. Using a custom blended shade to match in with your hair colour; our tints are available in grey, light brown, dark brown and black bases. Eyebrow tinting means never having to use an eyebrow pencil again and can last from 2-3 months before re application. Eyebrow and eyelash treatments are a perfect way to open up the eyes, tidy stray hairs or create a completely new look. 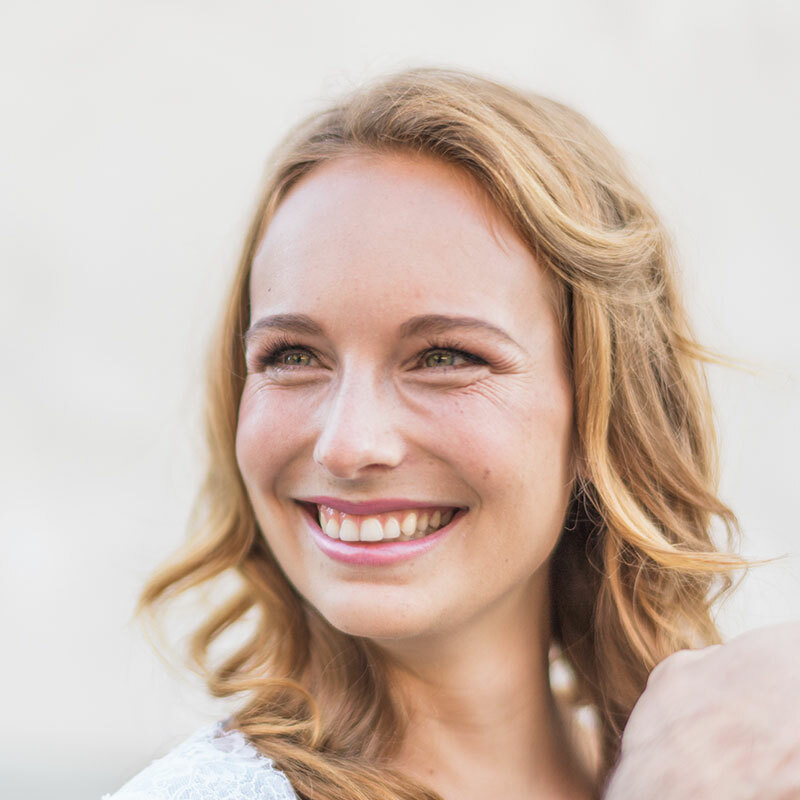 Our eyebrow specialists are specifically trained to enhance the eyebrows and eyelashes with methods including waxing, tinting and eyelash extensions. Brows are sculpted carefully into shape using a warm wax before being tweezed to remove any stray hairs. We can create a new shape for brows to look natural and tidy, or correct and enhance current eyebrow shapes. Our beauty therapists also provide waxing for women on the face, arms, legs and the bikini area. In addition we provide waxing services for men on the arms, legs, chest and back. Treat your nails and hands (or toenails and feet) to some special care and attention with our range of treatments to promote healthy, strong nails and soft smooth hands and/or feet. Whether it’s just maintenance or for a special occasion, our range of manicure and pedicure treatments will improve the appearance of hands, feet and nails and encourage strong healthy nail growth. Commencing with a warm hand/foot soak, your nails will then be shaped to your desired length and the cuticle area trimmed and tidied. For a manicure, a relaxing hand and arm massage will follow; using rich, hydrating and nourishing creams which will begin to improve the appearance of dry, dehydrated and neglected skin. With a luxury pedicure you will receive a relaxing foot and leg massage. Manicure and pedicure treatment options also include the application of a heated paraffin mask to further soften and re-hydrate skin along with a hot oil manicure to deeply condition and moisturise dry nails and cuticles. All of our manicure and pedicure treatments are completed with a nail buff and nail paint with the colour of your choice. 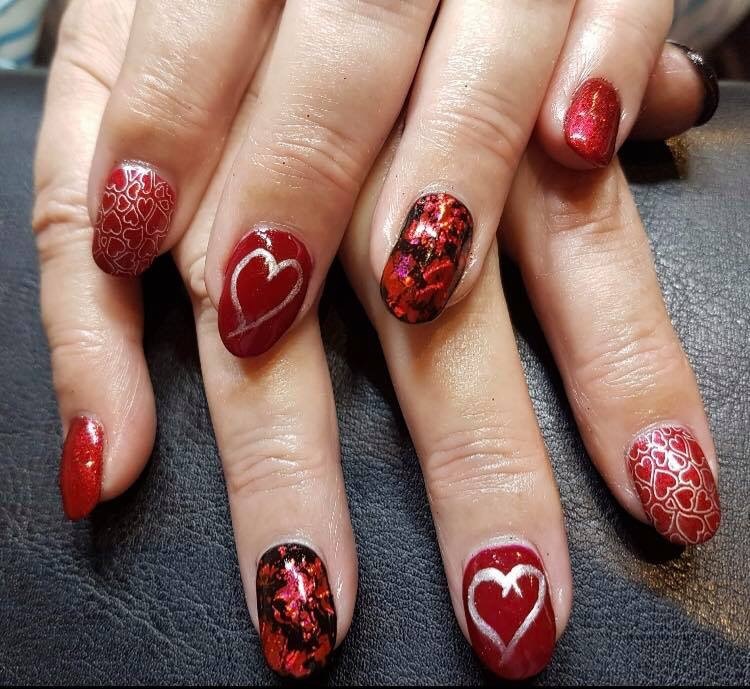 Whether it’s for a special occasion or to improve the appearance of fingernails and hands, we offer a selection of nail extension services. Our experienced nail technicians can apply temporary tips for a big night out or more permanent extensions using overlays of acrylic or gel. We also provide an infill service for maintenance of your nails. 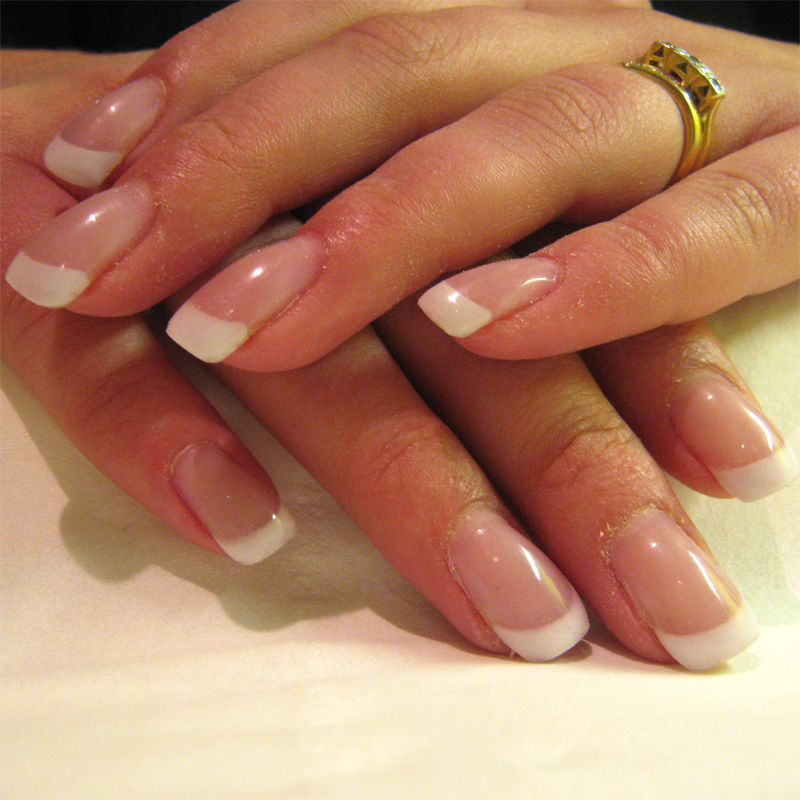 Acrylic enhancements are sculpted, to give the best shape & hold to your nail. Gel enhancements are also available. Express yourself with variations of colours and glitters. Minx is made of a flexible film and is applied and removed using only heat & pressure. Minx is long lasting and comes in a big collection of colours and patterns. Minx can last up to two weeks on your fingernails but can last longer when applied to the toenails. Minx is fab for both hands and feet adding instant style and glamour for any occasion. Shellac combines the ease of polish with the lasting effect of gel making it harder wearing than your normal nail polish. It lasts up to 14 days and can be quickly & easily removed in salon. We have a range of colours in salon to choose from. Again this can be applied to fingernails and toenails but we recommend that it is professionally removed. Removal is included in our price. We use Fake Bake Spray Tans to achieve the ultimate natural even tan. This gives a fabulous colour that gradually fades. A trial run is recommended to achieve the desired colour for the day if you have decided to have a spray tan for your wedding. The spray tan must be carried out 48 hours before the desired day to allow for development time and any re-application if necessary. The Tan will develop over a period of 12 hours becoming darker. You will need to shower after the 12 hours to rinse off the excess tan leaving you with a lighter more natural tan. We have two sun shower tanning units, one UV a one Infra-red. Both of these have great tanning properties with high intensity bulbs, but the Infrared has some added benefits, it can help with the relief of insomnia, eczema, circulation, acne and muscular discomfort. All clients need to have a consultation prior to using the sun showers to ensure that you have the right level of exposure for your skin type. We do not recommend that you exceed the recommend amount of minutes you can go in for all that you have two sessions within 24 hours of each other. It is also imperative that you protect your eyes, as a salon we supply the correct eye protection. You can choose to pay as you go or we do offer Sun Shower packages which you can use as and when the salon is open. We do also have a range of Sun Shower creams available which can help enhance your tan.